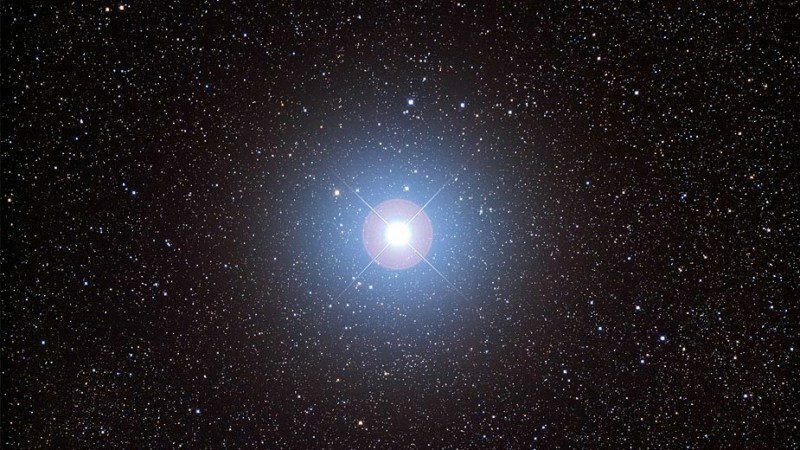 Fixed star Capella, Alpha Aurigae, is a 0.1 magnitude white star marking the goat carried by the Charioteer, Auriga Constellation. The traditional name Capella is derived from the diminutive of the Latin word capra which means Female Goat, thus Small Female Goat, or Little Goat. Fixed star Capella is of the nature of Mars and Mercury. It gives honor, wealth, eminence, renown, a public position of trust and eminent friends, and makes its natives careful, timorous, inquisitive, very fond of knowledge and particularly of novelties. The name means Little She-Goat. 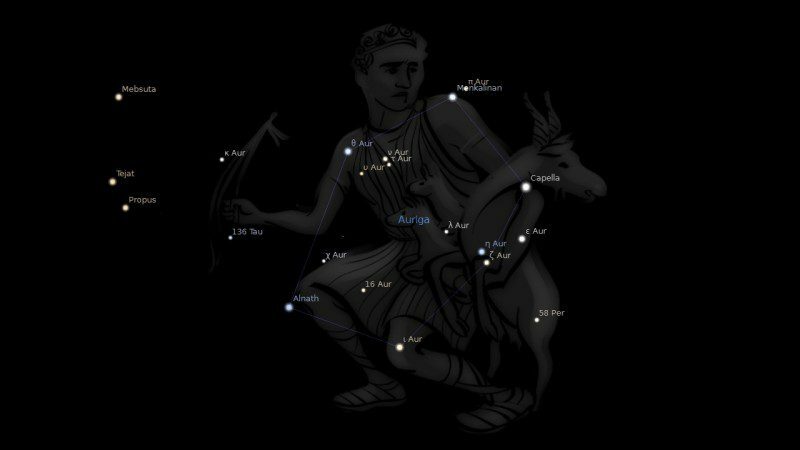 Sometimes called Amalthea in honor of the nurse who reared Jupiter upon the milk of the goat. 1. Fixed Stars and Constellations in Astrology, Vivian E. Robson, 1923, p.15, 151, 234. 2. Fixed Stars and Judicial Astrology, George Noonan, 1990, p.21. 3. Fixed Stars and Their Interpretation, Elsbeth Ebertin, 1971, p.26. 4. The Living Stars, Dr. Eric Morse, 1988, p.168. 5. The Fixed Star Health and Behavior Imbalance, Ted George and Barbara Parker, 1985, p.31. Hi Jamie, I am in the process of learning western astrology and now interesting in decoding fixed that are in my chart. My midheaven is in 24 degrees Gemini with Sun at 13 degrees Gemini. Frpm what I can gather, it gives actually mixed results. I am continuing to evolve spiritually. What other factors in your opinion also need to be taken into account for MC conjunct Cappella? My Chiron is at 21 degrees Gemini. Those this have an impact being on my Chiron.